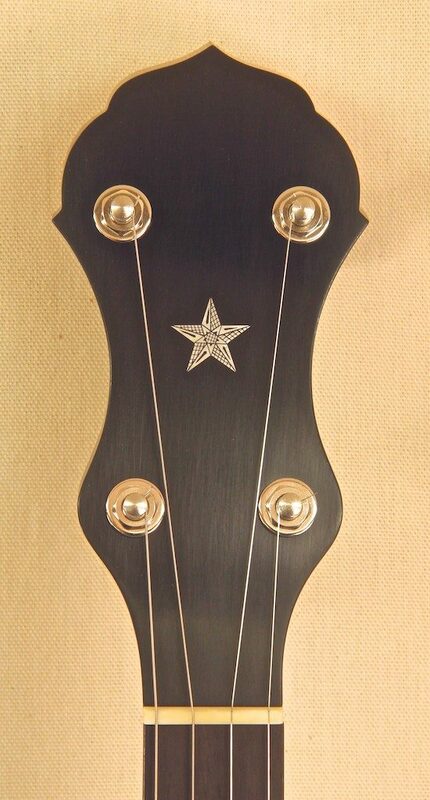 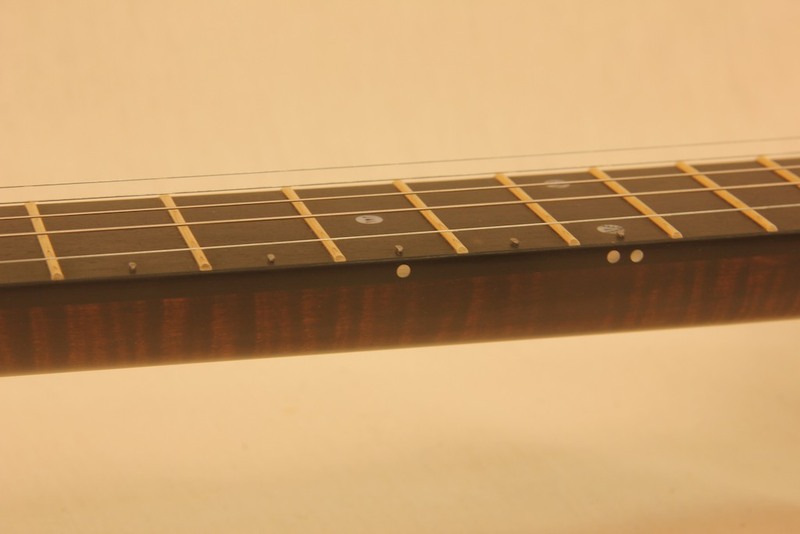 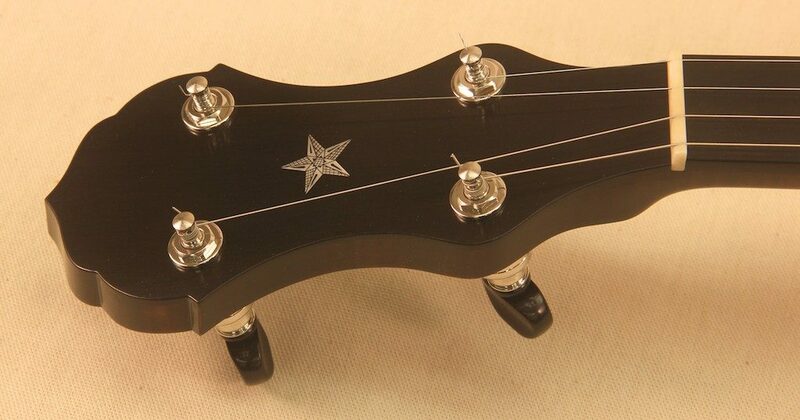 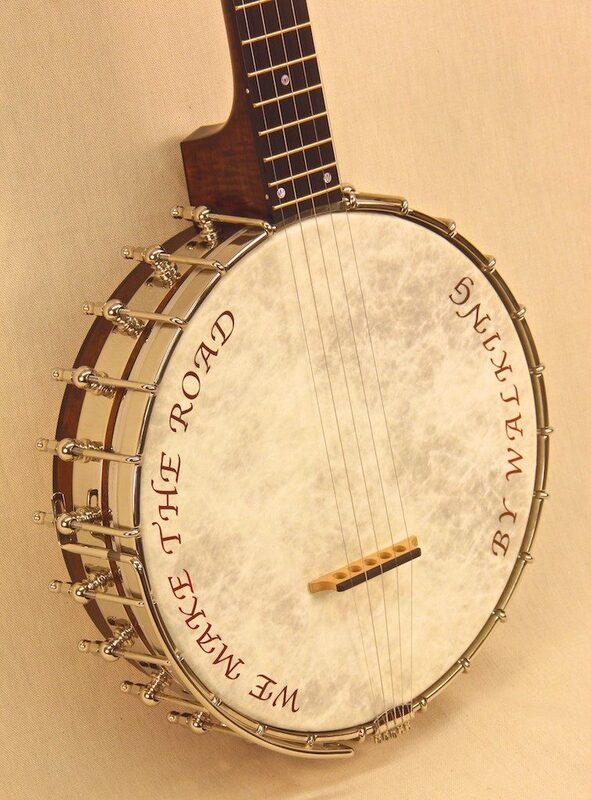 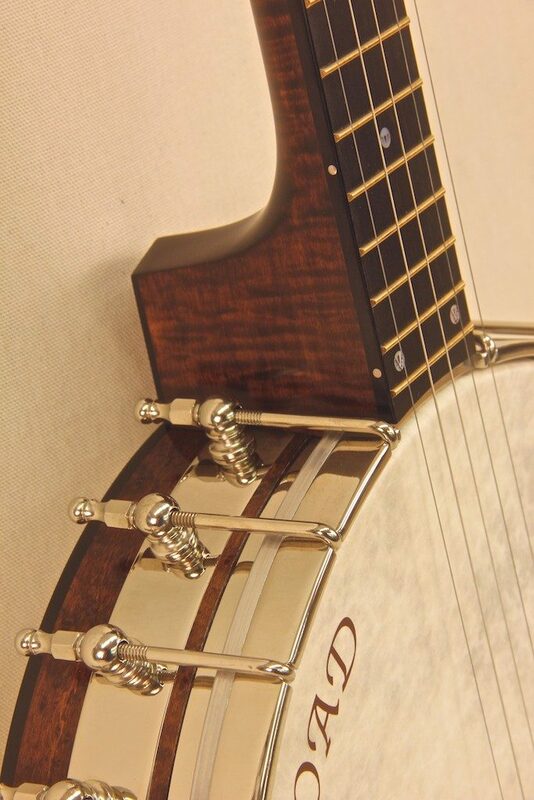 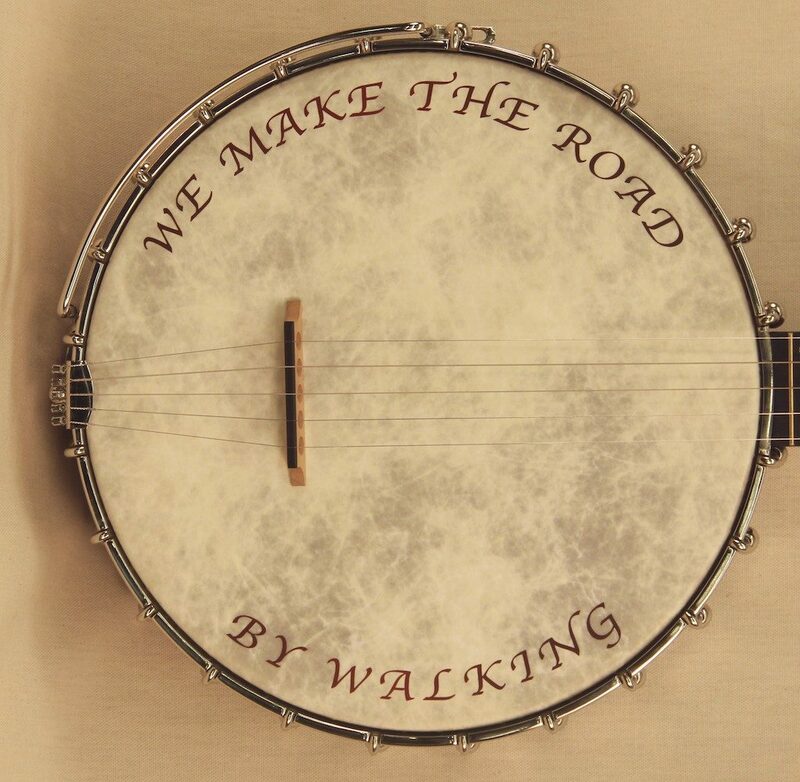 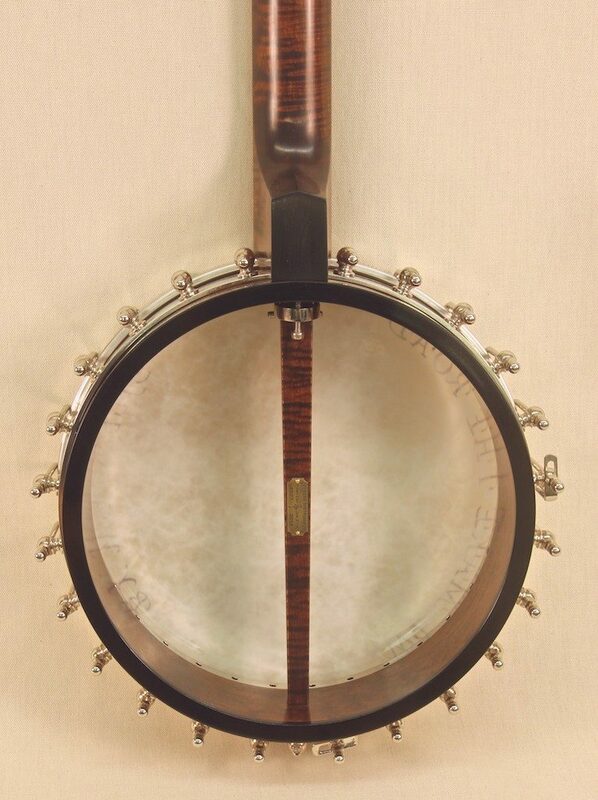 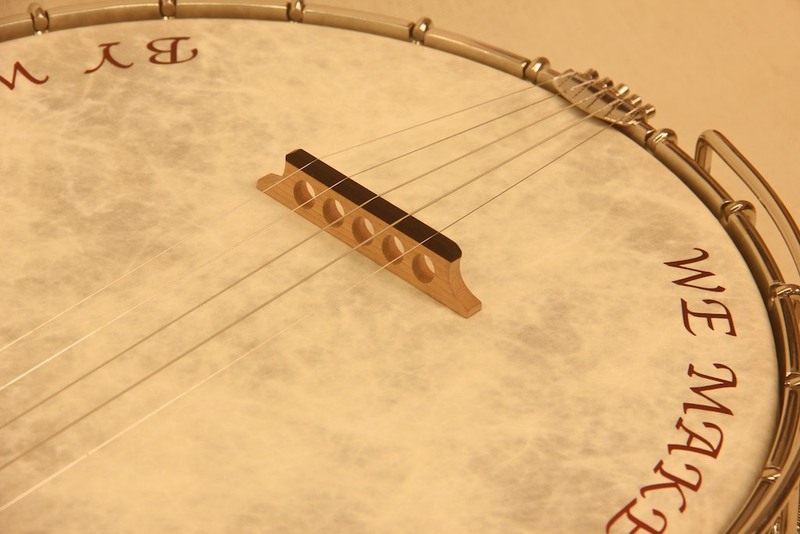 This Curly Maple Longneck banjo was designed as a variation to Seeder Banjo #010. 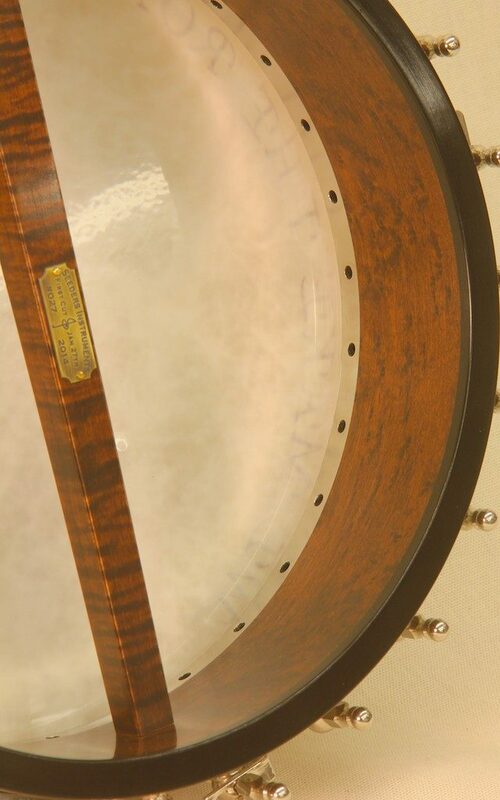 We used an original peghead shape and a slightly red golden brown stain to highlight the exceptional curly maple figure of the neck and birdseye figure of the rim. 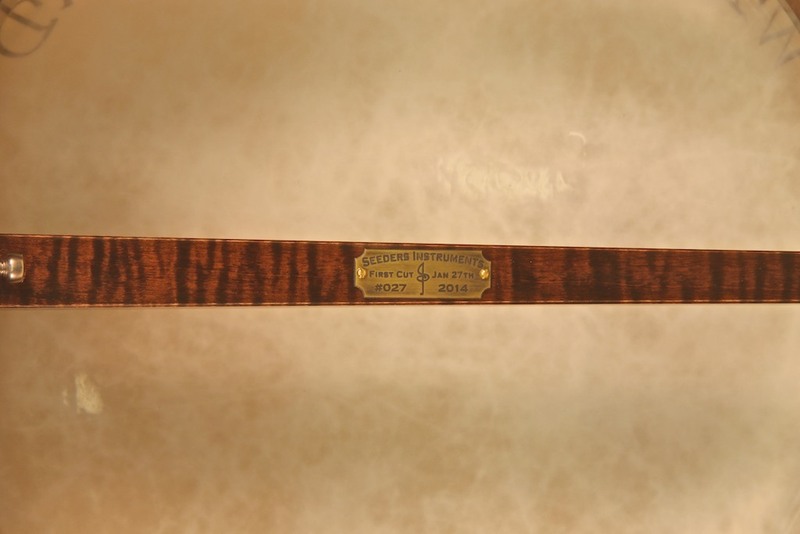 It also features a quote chosen by the client on the head custom screen printed by a good friend and professional screen printer Andrew Stearns. 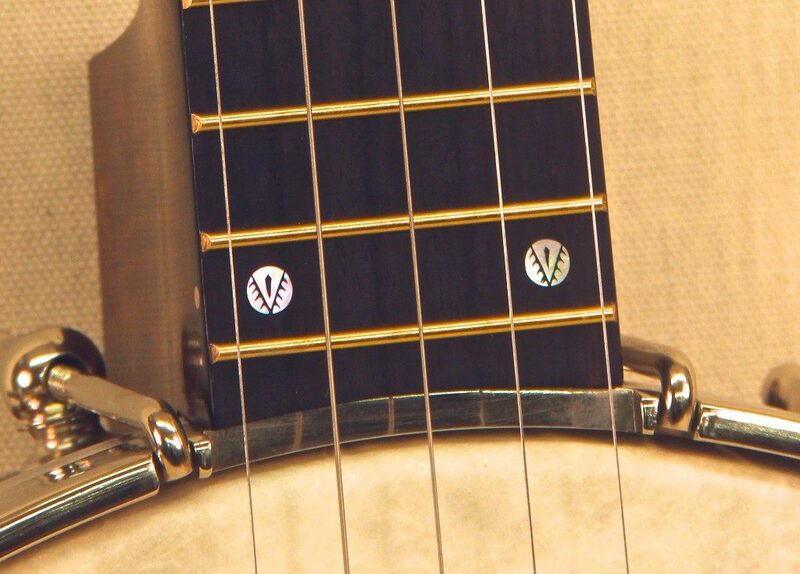 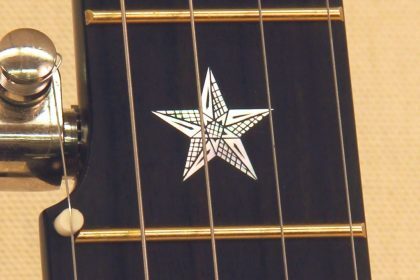 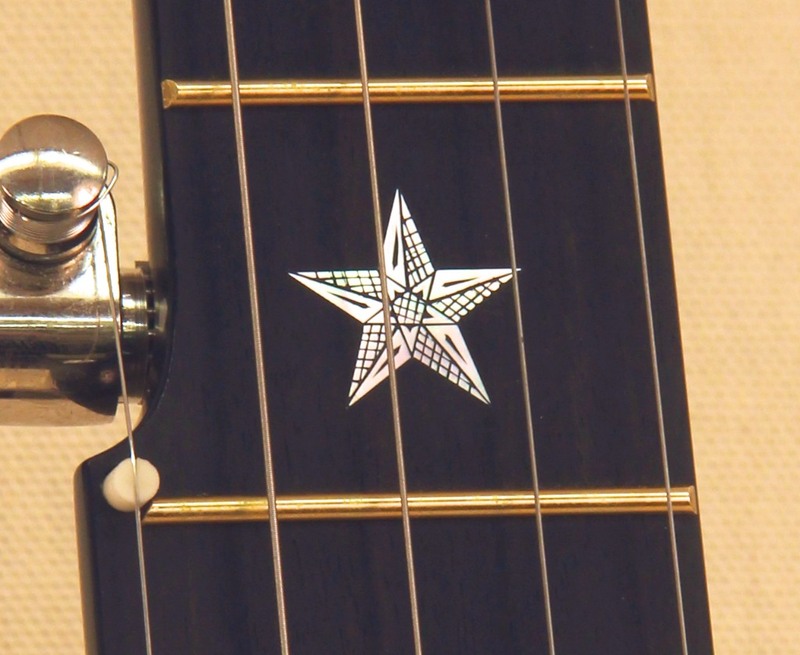 The client also had the cool unique idea of using the date of the first cut I made on the wood for the banjo on the brass name plate.